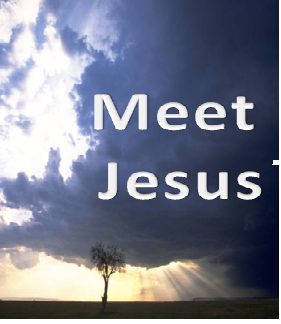 Be ready for change when you meet Jesus. John gets us focused in our preparation. Meeting Jesus can make you different from the inside out. He brings the Holy Spirit and fire to pour over you and change you. Think of it this way. 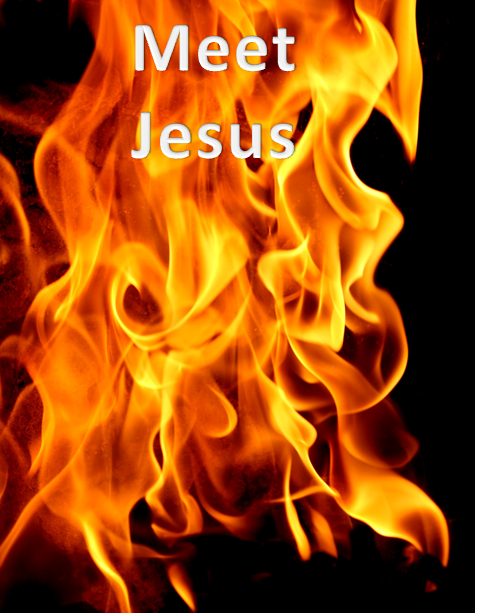 It is like having chemical fire on the inside (the Holy Spirit) and liquid fire on the outside. However, the real you is strengthened not burned. The stuff that is between you and Him will be cleansed. Conflict is one of those baptizers in the Holy Spirit. We want to avoid it, yet it is the right thing. God used conflict to cause us to dig deeper into understanding of relationships and life. The deeper we dig, the stronger we become. In talking to a leader, it struck me to provoke him that leaders love resolving conflict. They don’t love the conflict or the anger and frustration that may accompany it. They do love the process of resolution and the end result. Through conflict we are baptized in Holy Spirit fire. He strengthens our resolve and our ability to move ahead. He causes us to face hard items that need to be removed. It is one way He baptizes us with fire. ACT! Pick an item that needs to be burned away in your life. Put it in front of Him for handling. PRAY! Father, I am not afraid of being baptized in the Holy Spirit and fire. I await continually meeting with Jesus to be continually cleansed. Let Your faithful and just character enter into my life as I confess my sin before You. Forgive me and cleanse me from all ways that are unlike You. Matthew 1: 16: And Jacob begat Joseph the husband of Mary, of whom was born Jesus, who is called Christ. Born of men, born of a woman, and born to destiny was Jesus, the Christ. Meeting Jesus means meeting a human full of humanity. Jesus meets us in this frail human family of Joseph and Mary. A simple husband was Joseph. This family came from a line of prostitutes, murderers, connivers, kings, and faithful men and women. They look just like our families. Jesus is a family man. While He is the Christ, the anointed, the Messiah, He is a simple family man from a flawed, fractured, but persistent family life. ACT! Thank God for your family line. Don’t worry about the problems. Praise Him that you exist at all through that family line. PRAY! Faithful Father, You brought me to this time and place in life. You gave me the family line. You gave me a father and mother. I exist. No matter how flawed that line, I have destiny. There is an anointing in Jesus for me through You. Meeting Jesus takes preparation. So many times we want our friends to meet Him so quickly. But that meeting takes preparation. We have the opportunity to be John The Baptist’s for others to prepare. 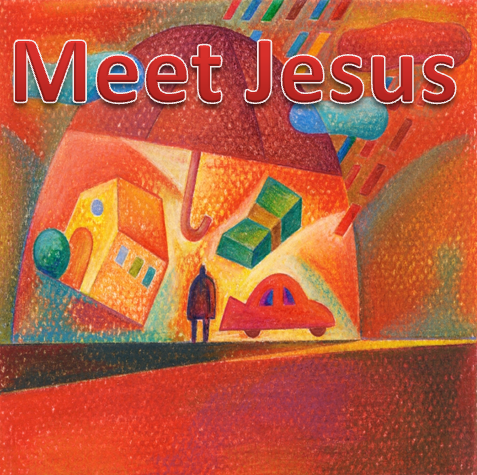 Meeting Jesus in our daily life takes preparation. Sometimes we need to adjust our attitude and thoughts to be ready to receive Him into our day’s activities. ACT! Think about a friend who needs to meet Jesus. Speak one sentence to them that will help prepare them for that moment of their first meeting. PRAY! Holy Father, prepare me today to meet Jesus. Help my attitude and approach get focused. Surely Jesus has acted in my day, and I don’t want to miss Him. Give me the words to speak to help another sojourner come one step closer to their first meeting with Jesus. Matthew 2: 23: And he came and dwelt in a city called Nazareth: that it might be fulfilled which was spoken by the prophets, He shall be called a Nazarene. Later in life when brother told brother about Jesus, one replied, “Can anything good come out of Nazareth?”. Nazareth was just simple and probably had a more than ample share of troubles. There was nothing good or outstanding about being from Nazareth. Jesus wasn’t who He was because of where He was raised or a tremendous good family name. He gives us the same opportunity to be the best of the best according to our calling and destiny. Hometown, family, community standing, and other accolades of men mean nothing when we meet Jesus. All of us can succeed. ACT! Erase out of your mind the idea that some status to men makes the difference in succeeding in Jesus. If you take pride in it, put it out and stand tall in Him alone. If you take shame in it, stand tall in Him alone. PRAY! Father of Birthright, you placed me in the time and circumstance of my upbringing. You will bring it to good in Jesus. You will bring me to success in Jesus, the Nazarene.